An update from the anti-cheat team reveals how the developer tackles cheats. 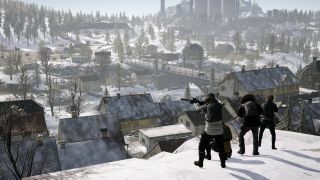 The anti-cheat team at PUBG Corp have posted an update on Steam that covers some of the work it's been doing over the last few months to stop cheat programs from disrupting the battle royale. While some specifics have to be avoided because revealing everything the team's up to could "harm progress", it provides a handy overview of the issues facing an online game like PUBG, along with some of the solutions that they've come up with. Along with third party anti-cheat programs like BattlEye and Uncheater, the team uses machine learning to study how people play, using that data to keep an eye out for things outside the norm that could suggest a hack's being used. Other companies have also been brought in to help improve PUBG's security. Blocking DLL injection attacks has also been a priority for the team, but some attempts to stop cheat programs from interfering with the game during development lead to things like Steam and Discord being misidentified as a threat. A whopping 3TB of game logs are analysed by the team every day, apparently, along with more than 10 million reports. As well as keeping an eye on the game, PUBG Corp monitors the places that enable players to cheat. 100 people are employed to watch various websites and Discord groups. The update also covers the results of legal action taken against people who sell these programs, listing around 250 arrests that were made in 2018 in China and South Korea. "Each game of PUBG sees up to 100 users trying to beat already incredible odds," PUBG Corp says. "We understand that even one person playing unfairly can severely impact the fun of so many people, and thus we need to maintain a much higher level of security than other games."